Do you want to get started in PCB machining or have you been curious where to start? The PCB Machining Kit from Carbide 3D includes all of the drills, cutters, and copper material you need to start creating your own PCBs on your home CNC machine right away! 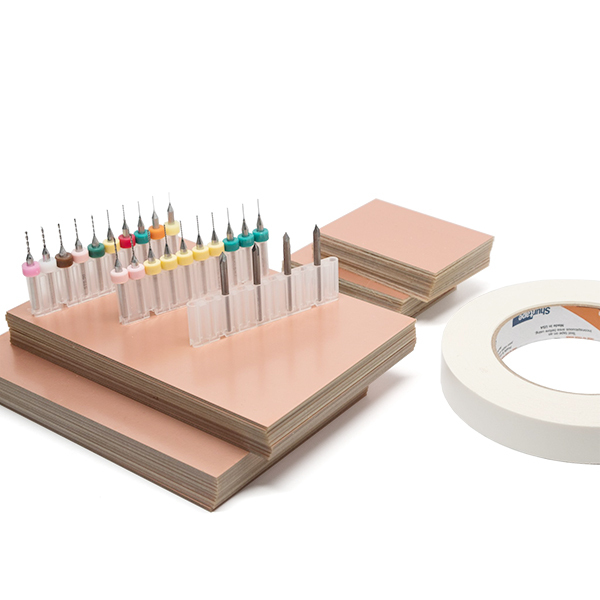 Inside each PCB Machining Kit you will find one standard PCB drill set, one variety PCB drill set, #501 and #502 PCB engravers, and 10 units of four different copper sheets.